I really have no excuse not for posting about this months ago, particularly considering I’ve been using it every day since about May. 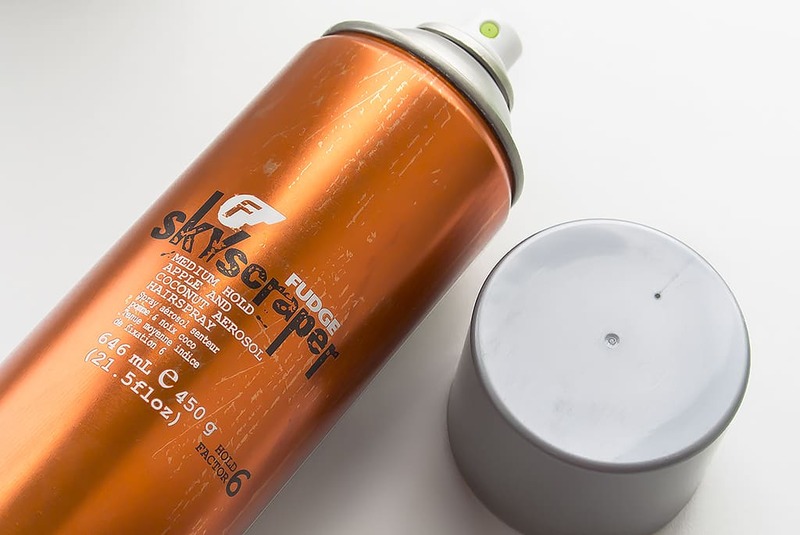 Fudge Skyscraper Hairspray is the best hairspray I’ve come across and blows the likes of Elnet and my previous favourite, Got2B Glued by Schwarzkopf, totally out the water. Fragranced with apple and coconut, this incredible styling finisher holds hair indefinitely with an absolutely incredible hold, but, hair is not left looking plastic-y and feeling absolutely rock hard. It can be easily brushed out and will never give you that white dandruff-looking build up you can get from repositioning and restyling your hair. It lasts an absolute age and I’m just coming to the end of my second can (daily use, I assure you). It’s available from Feel Unique in a huge 450g size for £9.45 (my preferred weapon of choice) and then a small bag-sized 70g version for £4.15. This article first appeared on MANFACE written by Thom Watson. It was published on Friday 6th December 2013 and was last updated on Monday 3rd April 2017 at 3:22pm. It's categorised under Fudge, Hair, Styling where you'll find more related content.